Chiropractor St. Peters: Does Medicare Cover Chiropractic? Are you looking for a chiropractor who accepts Medicare? Look no further than Cardinal Chiropractic & Physical Medicine. Part of what makes us the Top Rated Local® Medical and Chiropractic Services business in St. Peters is our desire to offer treatment to as many people as possible. Cost should not be a factor in seeking the best care, which is why Cardinal Chiropractic & Physical Medicine offers patients the opportunity to use insurance to pay for part or all of their treatment. We even accept Medicare for chiropractic treatment too. When you visit a chiropractor, you’ll be given an initial treatment plan. The amount you pay out of pocket for your plan depends on the insurance plan your provider covers. In many insurance plans, chiropractic services are considered an additional area of coverage under medical insurance. It doesn’t quite qualify as general services and unfortunately cannot yet be covered under preventive care. Whether your plan offers a co-pay option for chiropractic or if you’re required to pay a certain percentage after the deductible, many providers are starting to include some form of coverage for chiropractic care. According to The Official U.S. Government Site for Medicare, “manual manipulation of the spine if medically necessary to correct a subluxation when provided by a chiropractor or other qualified provider” is covered by Medicare Part B insurance. The site continues to define “medically necessary” as needing health care services in order to treat or diagnose an illness, condition, disease, injury, or any associated symptoms so long as they meet the standards of accepted medicine. Subluxation is the correction of a part of the spine that is out of position. In many cases, so long as you aren’t just visiting the chiropractor for fun and it is for a medical reason, the treatment will be included in typical Medicare Part B coverage. 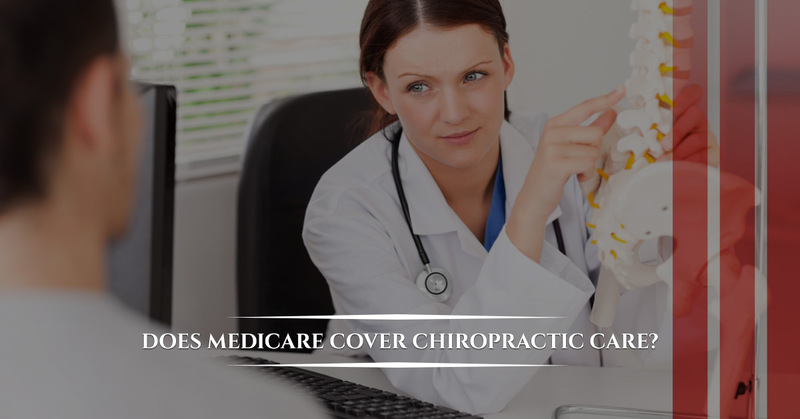 Part of Medicare coverage includes the Medicare-approved amount, which is a value set by the government that determines how much a chiropractor can be paid (through Medicare) for their service. It may be more or less than the actual fee. As the patient, you are required to pay 20 percent of the Medicare-approved amount and also consider that the deductible for Part B is applicable. Part B covers the spinal adjustment and other manual manipulation treatments by the chiropractor; however, if X-rays, massage therapy, or other tests and services are suggested as part of your treatment plan, they are not covered by Medicare insurance. Even though insurance may only cover part of your treatment plan, Cardinal Chiropractic & Physical Medicine builds a care strategy based on what’s best for you. We will not hold back on treatment options because of insurance limitations. Moreover, we strive to make treatment as affordable as possible and are willing to work out a unique payment plan that suits your needs and budget, while always taking advantage of insurance coverage when possible. Please reach out to us today to learn more about our costs and how your insurance coverage can help fund your chiropractic treatment.